Description: Digitization provided by the USF Libraries Digitization Center. Rare Maps. 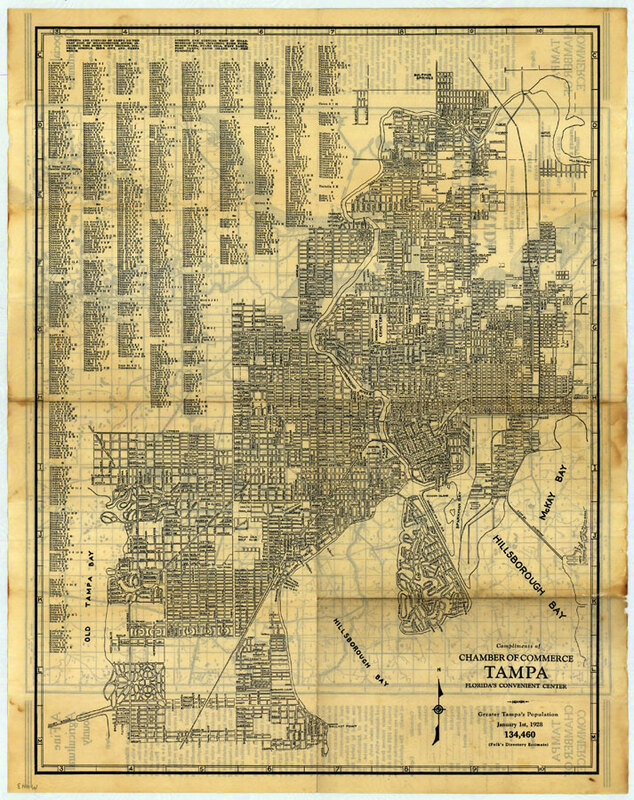 This is a detailed street map of Tampa, circa 1927. This map shows roads, railroads, cities and towns, locations and inland waters. Section Township Range (STR) is shown. This map features a list of all of the streets and avenues.